THE ALBERT MEDAL RECOGNITION OF BRIERCLIFFE LAD'S PLUCKY CONDUCT. 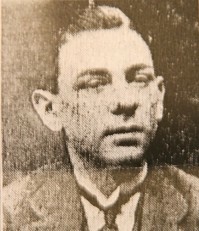 The heroism of Maurice Lister, the sixteen year old Briercliffe youth, in attempting to save the life of a wounded comrade, after the vessel on which they were serving was torpedoed 300 miles from land, has just been recognised by the Board of Trade with the award of the Albert Medal. Young Lister, it will be recalled, was on his first voyage as a butcher's assistant, and when the boat was torpedoed, he was injured in both ankles. Whilst trying to make his escape, he heard cries of distress, and on returning found the pantry boy lying with both legs broken. Lister managed to drag the boy on deck and they were together several days in an open boat, suffering terrible hardships before being picked up. The pantry boy, who hailed from Seaforth died in hospital from his injuries and the effects of long exposure. The story which was recently related by Admiral Stileman, the Chief Naval Officer at the Mersey Port, in an address to sailor boys at Manchester, exemplifies the indomitable spirit of the youthful members of the British Navy. Referring to these two lads, the Admiral said one of them had his ankles badly shattered, and the other was also severely injured and unable to walk. The lad Lister, finding his chum helpless, carried him with difficulty through various parts of the vessel until he got on to the broken deck. Afterwards both lads were put into an open boat, in which they slept, and roughed the terror of the sea for many days. Accompanying them in the boat was an old man, 70 years of age, whose chief concern was as to how he could get back to the Mersey Port to join another vessel. The boy whom Lister so pluckily attempted to rescue had since died in hospital, but the Board of Trade were about to reward the deed in a suitable manner. Lister received intimation on Wednesday that he had been awarded the Albert Medal. He recently came out of hospital and accompanied by his mother and brother, paid a visit to the parents, at Seaforth, of the boy, Robinson, who lost his life.